It has been a hell of an exciting time for the Colony of The Avalon! 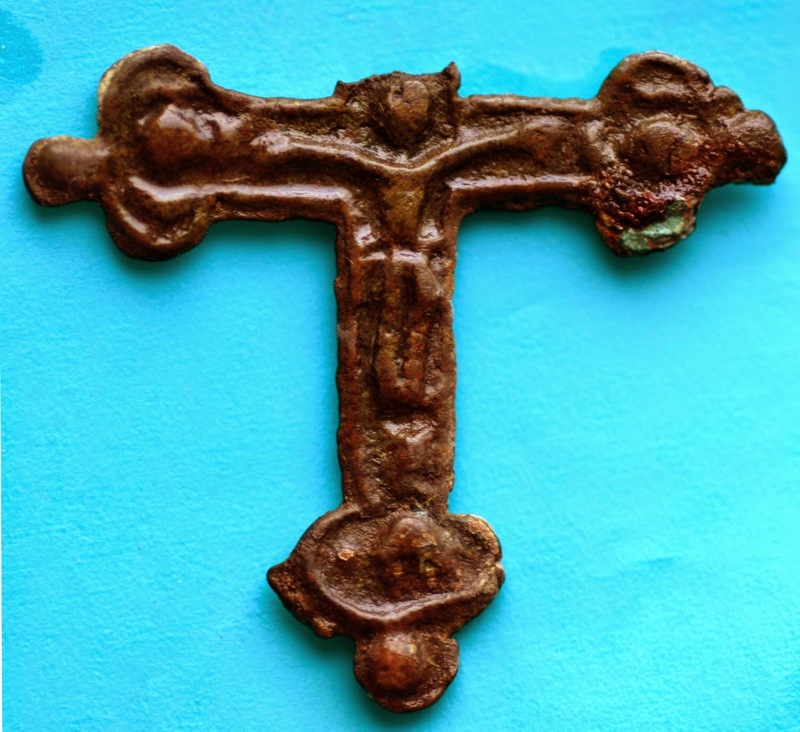 Visitor attendance numbers were up in June indicating a good season but the recent discovery of a 400-year-old copper crucifix at the site has created an international buzz. 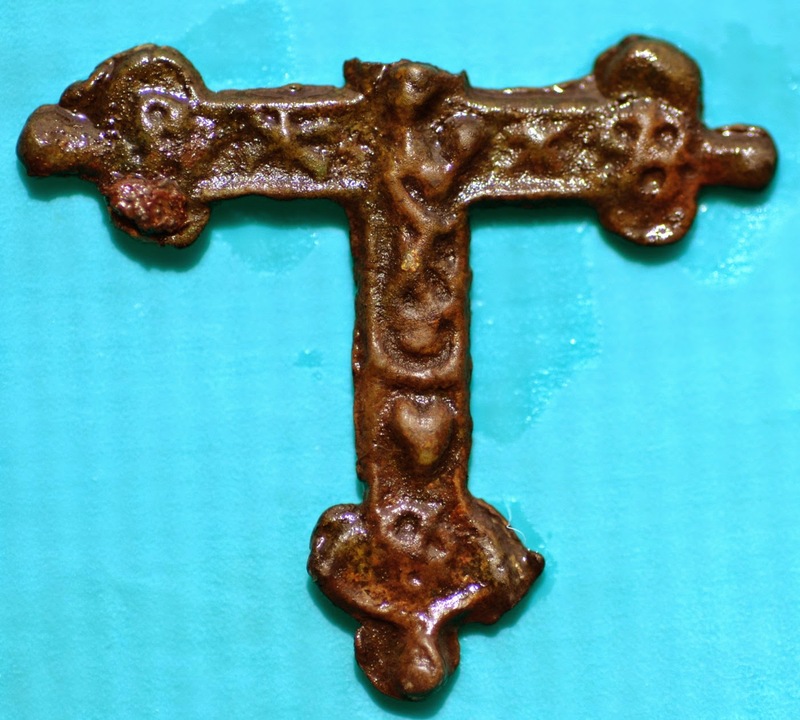 The small crucifix, 2.8 cm in width, broken at the top but showing a simple representation of Christ on the front and the Virgin Mary and Christ Child on the back. The discovery in itself is incredible but more important from my perspective is proof that this was a colony of new hope, of religious tolerance from the religious tyranny in England. Governor George Calvert of Baltimore, established his colony in Ferryland at a time when practicing the Catholic faith was risky business. Religious tolerance is the Anglican word was unheard of. Calvert’s dream was to establish a colony where Christians, Catholic and protestants alike could practice their faith without fear of arrest or death. The colony was established, in 1621. Most people have no idea that permanent European settlement in North America dates so far back, and that Newfoundland played such an important role. At the Colony of Avalon, the stories of Lord and Lady Baltimore, Sir David and Lady Sara Kirke and other early settlers are brought to life for visitors through guided tours and demonstrations of life in the 17th century. Site features include an Interpretation Centre, active Archaeological Dig, Conservation Laboratory, 17th-century Kitchen and Gardens, and an award-winning Gift Shop. Special programs and packages include Archaeologist for a Day, Dig & Dig In, Land and Sea Explorer, and more. Become a member of the Colony of The Avalon Help support the continued investigation, interpretation, preservation and promotion of the archaeological and historic resources of Ferryland and the southern Avalon Peninsula.